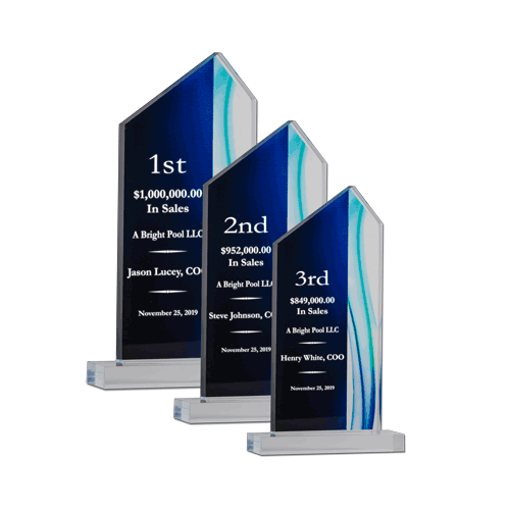 Our Aqua Acrylic Award is nothing short of spectacular with a striking elegance and an ocean of possibilities! The Aqua Acrylic, available in 3 sizes is reverse engraved onto a blue screen printed background showing the laser engraved text prominently for all to see. 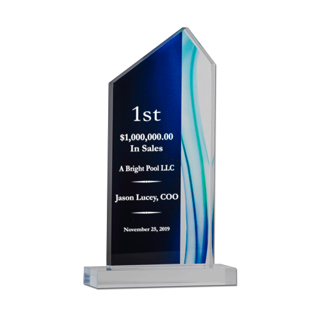 One of our top sellers, the Aqua has been used in the past for top sales awards by our corporate clients. 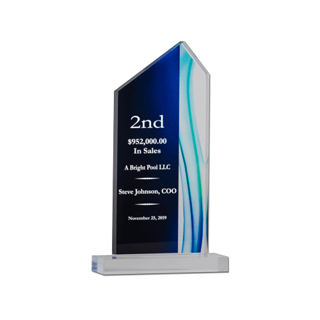 Let the craftsmen and Newline engrave an Aqua acrylic trophy today and experience world class service.